Renowned American artist George Carlson was born in Elmhurst, Illinois on July 3, 1940. His skill and vision brought him success early in his career. 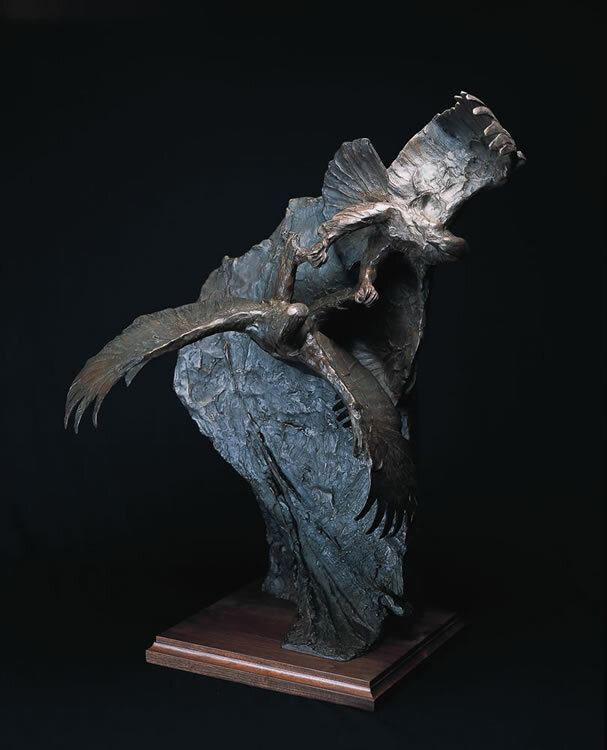 In 1974 he submitted the sculpture Eagle Catcher to the National Academy of Western Art and won a gold medal. The next year, he won the “Prix de West” award for Courtship Flight, being the youngest winner of that award in its history. Five gold and three silver medals have followed from the National Academy as well as membership in that prestigious organization. 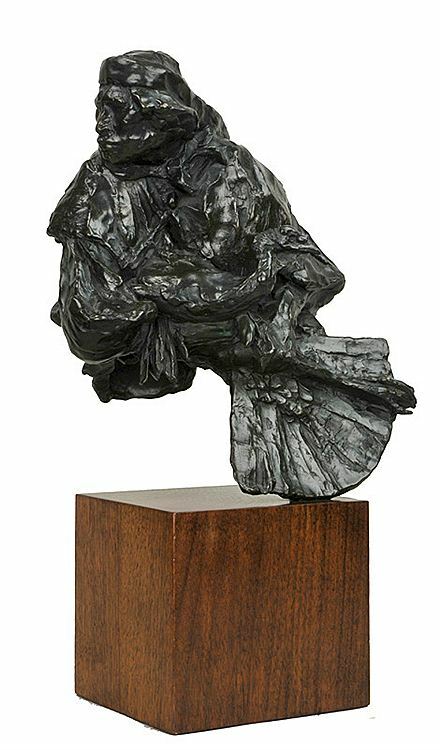 Carlson earned the honor of membership in the National Sculpture Society in 1981 and was elected a fellow in 1989. Part of this success is due to his personal attachment to his work. He shepards his work beyond creation, being intricately involved with the casting of the bronze and even performs the final detail work himself. Carlson studied at the American Academy of Art in Chicago, the Art Institute of Chicago, and the University of Arizona. He has held solo exhibitions at the Smithsonian Institute’s Museum of Natural History, Indianapolis Museum of Fine Art, the Autry Museum of Western Heritage and the Southwest Museum. His work is included in major public and private collections in the country, and two retrospectives are currently being planned. The first will open in June 2005 at the Eiteljorg Museum in Indianapolis, and in 2007 the Denver Art Museum will showcase Carlson’s work as the premier exhibition for the new wing designed by Daniel Libeskind, architect of the new World Trade Center. Internationally, his work has been featured at the Hakone Open Air Museum in Tokyo; Amerika Haus in Berlin; Central House of Artists in Moscow; Kyoto World Exposition of Historic Cities in Japan; and the Peking Exhibit in Beijing, China. Among his monumental outdoor sculptures are The Greeting, Eiteljorg Museum, Indianapolis; Paul Robeson, Central Sate University, Wilberforce, Ohio; I’m the Drum, Colorado Springs Fine Arts Center;Of One Heart, Outdoor Museum of Art, Englewood, Colorado; Early Day Miner, Washington Park, Denver; and Hopi Girls, New Mexico Museum of Fine Art, Santa Fe. Carlson is also frequently commissioned for both private and corporate works. Actor Bill Cosby commissioned four portrait busts. In 1994 the National Museum of Wildlife Art in Jackson, Wyoming, commissioned a bust of artist Bob Kuhn, which was unveiled in September 1996. 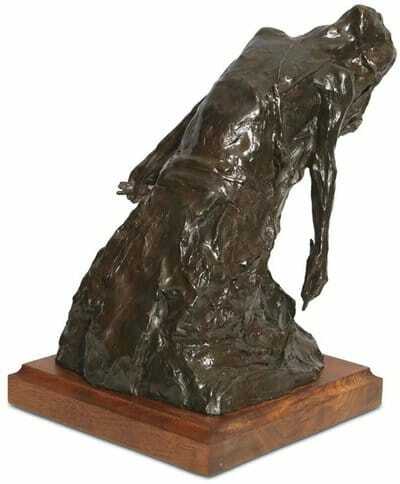 The recipient of numerous honors, Carlson received the Idaho Governor’s Award of Excellence in the Arts in 1996. In 2005, his monumental bronzeThe Conqueror was presented with two awards, the Autry National Center’s John J. Geraghty Award in recognition of Carlson’s outstanding support of contemporary Western art; and the Museum of the American West’s Masters of the American West Award, an acquisition prize to include The Conqueror in the museum’s permanent collection. 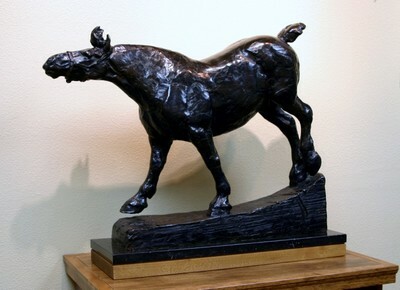 Carlson has won numerous awards at the Masters of the American West Show including multiple Artist's Choice Awards. 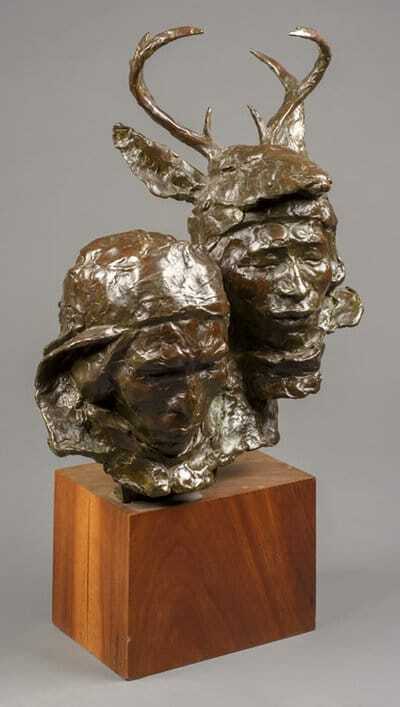 In 1975, Carlson's "Courtship Flight" won the National Academy of Western Arts Award, which is now called the Prix de West Award. In 2011, he won his second Prix de West Award for Umatilla Rock. The University of Idaho honored Carlson at its 1999 commencement with an honorary Doctorate in Fine Arts degree. Carlson has been profiled in many books and other publications including the PBS film series entitled Profiles in American Art. Carlson, who lives in Idaho, is an Out-of-State Artist Member of the California Art Club.